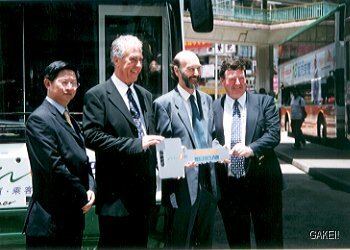 The official handover ceremony was held on 30 May 2000 in Shau Kei Wan Bus Terminus. 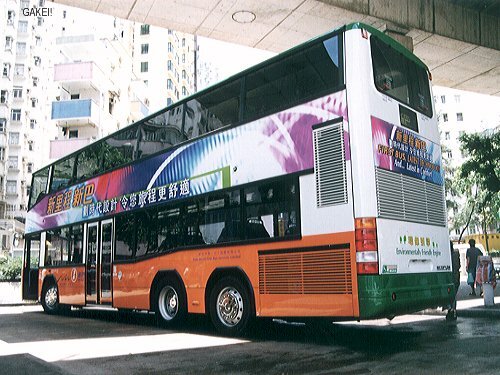 In the Ceremony, representatives from Yardway Limited, the Hong Kong agent of Neoplan, passed the key of the vehicle to New World First Bus ("NWFB"). This page contains photographs taken in the Ceremony. Above: Representatives from Yardway passing the key to NWFB. The first NWFB Centroliner in the Ceremony. 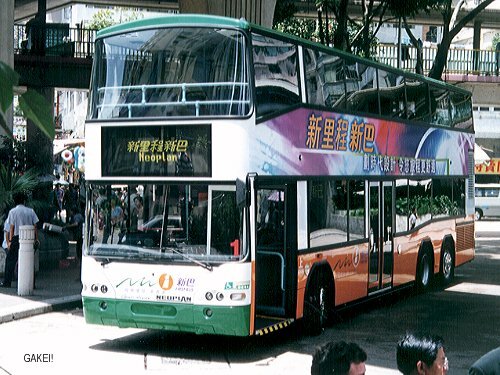 Above: The bus is 12 metres long. 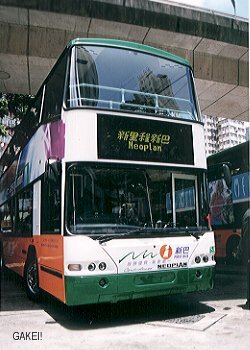 Similar to other demonstrators, this bus was specially decorated by NWFB. 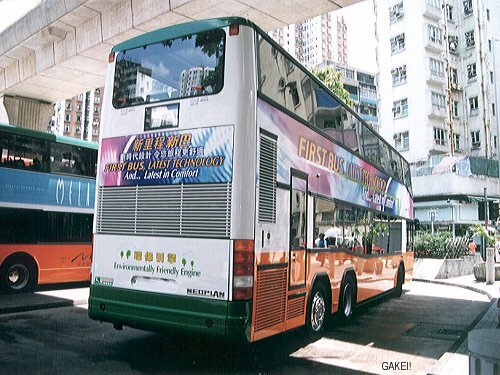 The back of the bus: The slogon is read as "First Bus, Latest Technology, And ... Latest in Comfort".